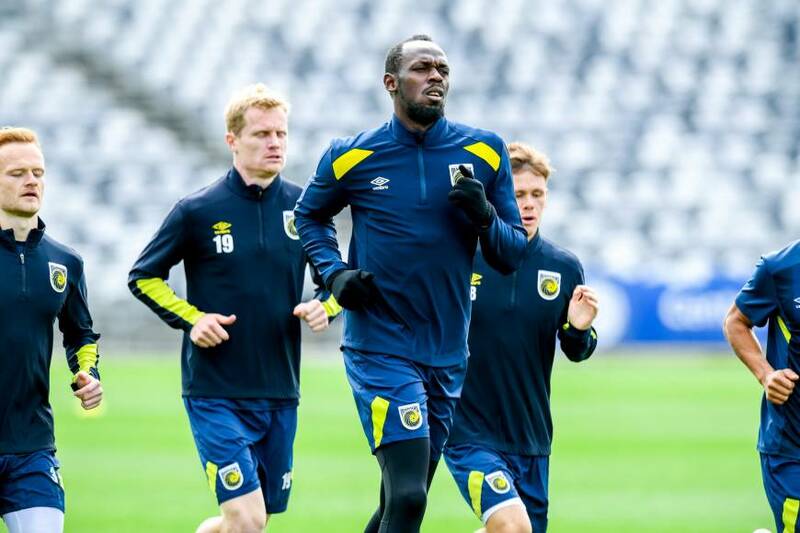 Sprinter, Usain Bolt is set to make his professional football debut this Friday in a much-hyped game in the Australian A league. 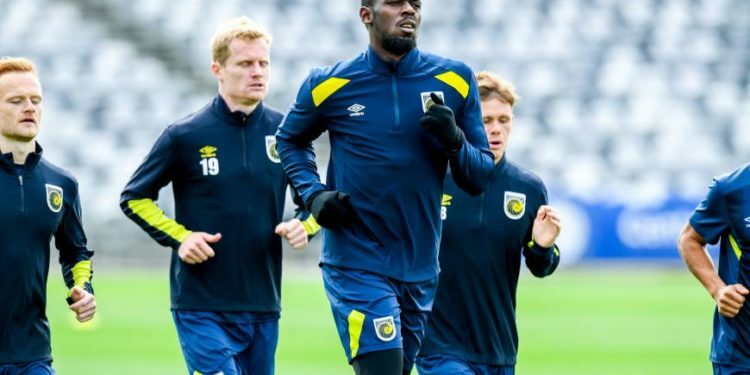 The Jamaican will likely be handed a cameo appearance for Central Coast Mariners in a friendly as he battles to gain fitness before the start of the season. The team that came last in the Australia’s league last season are the first to give the Jamaican Superstar a chance after the Olympic winner,’s many trial with other professional teams, including Borrussia Dortmund fell through. The game has created a huge buzz, unusual for the Coast Mariners, so much that the game will now be broadcast live on pay tv and over 10,000 fans are expected at the stadium. The club now plans on shooting fireworks to keep the fans entertained before the introduction of Bolt. A local paper is also planning on distributing 100,000 cardboard cut-out face masks of the eight-time Olympic winner for fans to wear on the day. Bolt feels the whole thing feels a bit unusual for him. Marniers’ Coach, Mike Mulvey, believes the eight time Olympic gold medalist still has a long way to go in his fitness. Bolt retired last year after a career that saw him win 8 Olympic gold medals, and 11 world titles, to focus on pursuing a career in football.